U of A permit holders can always park in Lot 99, located on Beechwood Avenue, south of Martin Luther King Jr. Boulevard. Every year before major sporting events at the University of Arkansas, motorists are asked to clear out of many of the parking lots on campus to make room for thousands of fans. The first such event of the 2018-19 school year takes place Saturday, when the Razorbacks host Eastern Illinois in the opening football game of the season. This means that unauthorized vehicles should be moved from parking lots on Friday evening at the latest. The Transit and Parking Department sent a Wednesday email to permit holders about this, and follow-up email reminders will go out on Friday. The email message says parking permit holders have until 11:59 p.m. on Friday to make sure vehicles are out of Razorback Foundation Priority Parking lots. Transit and Parking is also using social media to remind everyone of the lots that need to be vacated. Vehicles remaining in Razorback Foundation Priority Parking lots after 11:59 p.m. on Friday will be towed at an expense of $100 to the owner. All towed vehicles are moved to Lot 99. The requirement to move vehicles does not apply to students who are Resident Reserved permit holders parked in Resident Reserved lots. It also does not apply to those who have permits for the Garland Avenue Parking Garage or the Harmon Avenue Parking Garage. (One exception to this is level 3 in the Garland Garage). 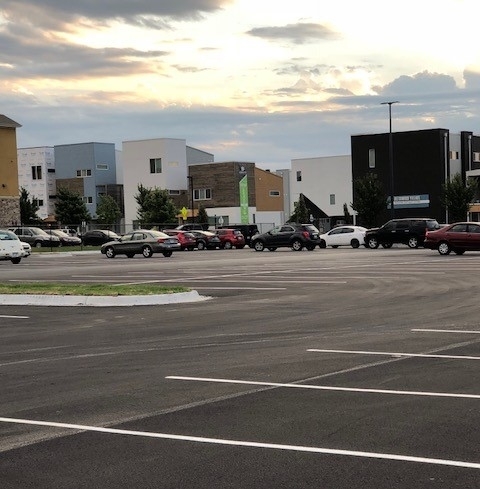 This year, anyone with a university parking permit may move his or her vehicle to Lot 99 on Beechwood Avenue, which is south of Martin Luther King Jr. Boulevard. On game day on Saturday, Lot 99 will be off-limits to anyone except those with a university parking permit. With more than 1,100 parking spaces, it is expected to have plenty of room for those who re-locate. Transit and Parking Communications Director David Wilson said that every effort is made to communicate to individuals so they can avoid having a vehicle towed. "It would be ideal," he said, "if everyone parked in a Razorback Foundation Priority Parking lot would clear out the day before a game. We would prefer not having to tow anyone's vehicle."